Did you remove or delete your iTunes music by accident or it just disappeared without any logical reason? You don’t have to worry we will show you today in this article how to restore your lost iTunes songs by following some simple steps and by using different types of methods which you can choose from to restore your lost songs. You can also restore any type of data by following the methods and steps we will mention in this article. iMyFone Tunesmate is one of the best tool that you can use to do everything that iTunes can actually do and not only that but do it better. It can also get the job done without any kind or type of restrictions and limitations. Now is the time to learn more about iMyFone TunesMate, we will explain its main key features and how to use it to restore iTunes songs. One click to transfer songs from iDevice to iTunes. It offers flexible iOS transfer between your iDevices and your computer. 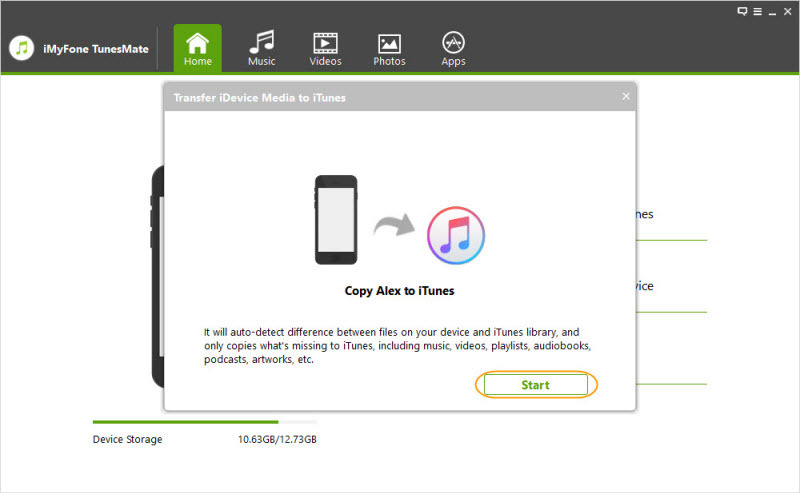 2 ways of transferring media files between iOS Devices and iTunes. 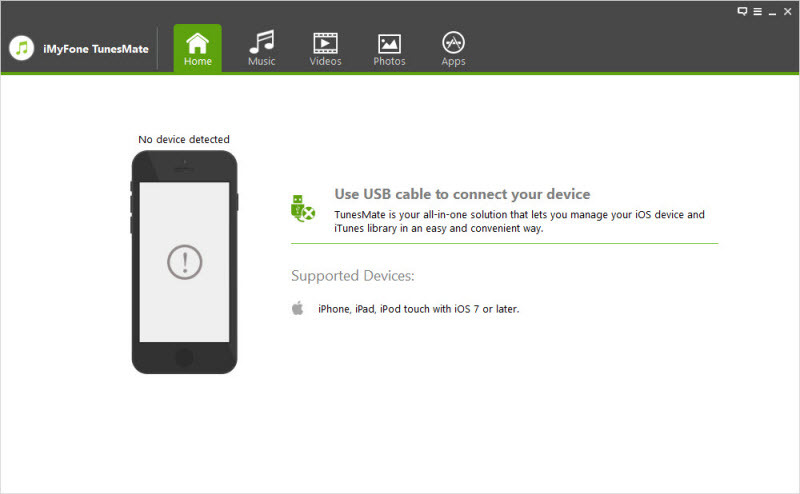 Supporting unlimited number of iDevices not like iTunes which only support 5 devices. 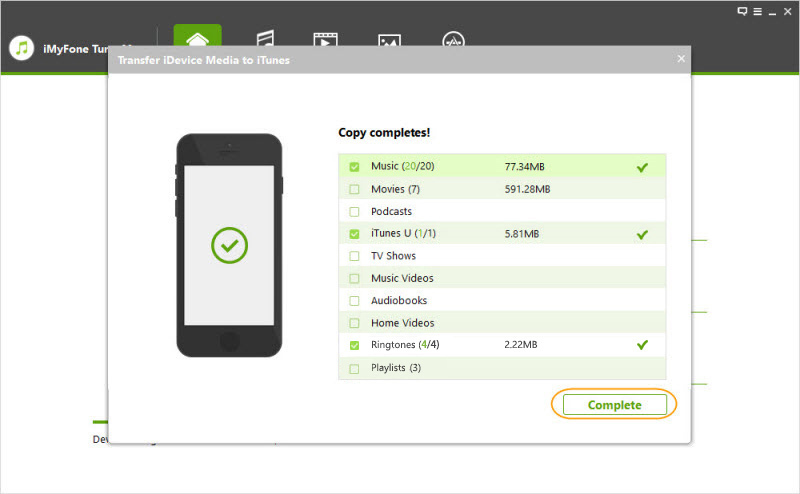 You can sync your data without having to worry about getting the original erased. Step 1. If the USB cable isn’t connected iMyfone Tunesmate will remined you to do so. Step 2. When the device of yours is connected, it will show you three options. In our case you need to choose the first option “Transfer iDevice Media to iTunes". Step 3. 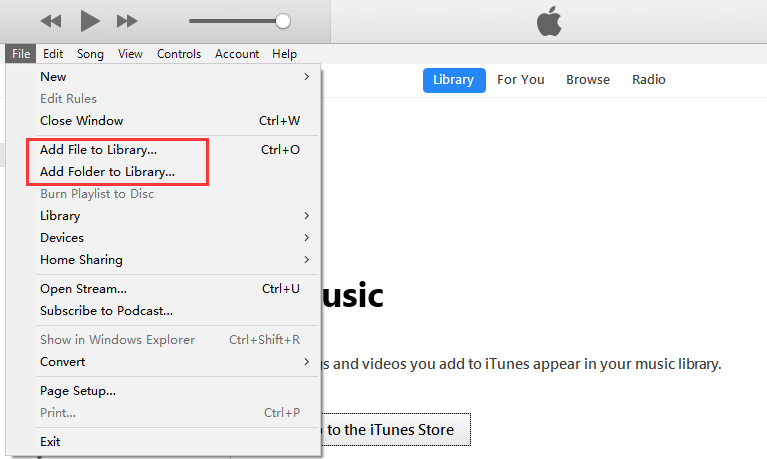 A pop up window will be shown in front of you which says “Copy [Your iPhone] to iTunes”. Just agree by clicking “Start”. Step 4. Now uncheck the types which you do not want to transfer. Then click "Start" button to begin the transfer process. Step 5. Wait for a while and once it done. Click restored now you can click “Complete”. In case you don’t have any alternative but to use iTunes to restore your songs. You can say that iTunes is designed to transfer music (data in general) to their devices but not the other way around but it’s more complicated process than the previous method we used to restore the lost songs. But anyhow let’s get down to business. Step 1. 1.Open iTunes, please make sure that iTunes is the latest version. Step 2. 2.Click on "Go to the iTunes Store" on the main screen. Step 3. 3.Click "Account” on the top and then select “Authorizations > Authorize This Computer". Step 4. 4.Log in with your Apple ID and password and then click “ Authorize” button. Step 5. 5.You can onnect your iDevice to computer now. 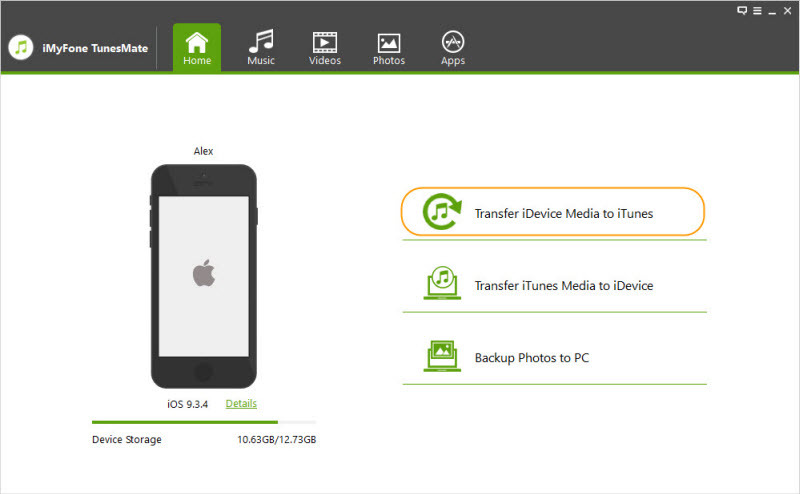 Then select "File >Devices", and choose "Transfer Purchases from iPhone". After that, you just restore you iTunes songs. This method depends on having a backup of your current library that contains the songs that you want to restore to the iTunes once again. It is not that different from the last method we used to restore the songs we need and you will see that once we begin to explain this method. Step 1. 1.Find out where is your current iTunes backups and then you can copy it to the folder where is easily to be found. Here you want to restore songs, you can just copy the songs to the folder. Step 2. Open iTunes. Click "File" and then select "Add File to Library" or "Add Folder to Library". If you want to add the whole music folder, choose "Add Folder to Library". If you just want to restore several songs, just choose "Add File to Library". Step 3. On the pop up window, choose the songs you want to restore and click "Open". The songs will be restored to your iTunes.